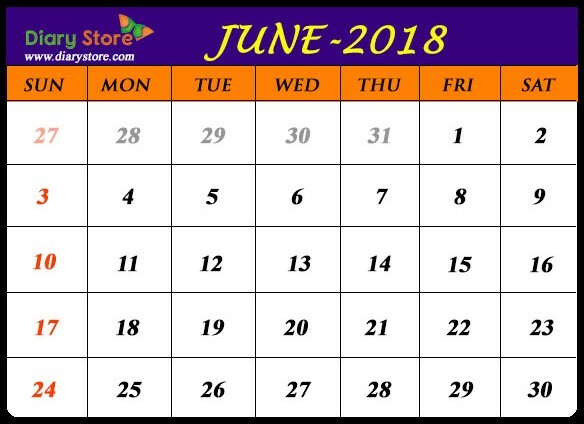 June is the sixth month in Julian and Gregorian calendar and it has a span of 30 days. It is the second month in succession to have a period of 30 days after April. The alternate recurrence of 31 days and 30 days happens from the months of March and April onwards. The phenomenon of summer solstice (maximum number of daylight hours) and winter solstice (least number of daylight hours) occurs in the month of June. Summer solstice is found in Northern hemisphere and winter solstice is noticed in Southern hemisphere, excluding polar regions of the globe. The first day of June indicates the beginning of meterological winter in southern hemisphere and June 21st signals the onset of meterological summer in northern hemisphere. There are apparently two etymological sources for naming the month of June, as propounded by the Roman poet Ovid. The first contention states that the month was named after the Roman Goddess Juno, the Goddess of wedlock and the spouse of mighty Deity Jupiter; the second opinion holds that the name was deduced from the Latin word “iuniores” which means younger ones, as against maiores for May implying “elders”, preceding June.